Classic Industries offers a wide selection of Cooling System Components for your Chevrolet Camaro. Classic Industries offers Chevrolet Camaro Hose Clamps, Chevrolet Camaro Heater Hose Clamps, Chevrolet Camaro Radiator Hose Clamps, Chevrolet Camaro Tower Style Hose Clamps, Chevrolet Camaro Heat-Shrink Hose Clamps, Chevrolet Camaro Corbin Style Hose Clamps, and Chevrolet Camaro Radiator & Heater Hose Clamp Set. 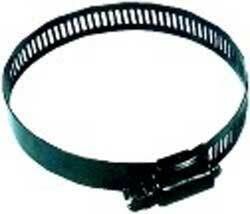 Correct AC Delco replacement worm gear style radiator hose clamp. 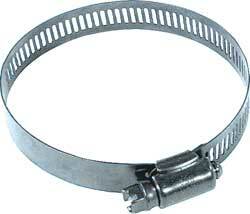 Radiator Hose Clamp 2-1/8 I.D. 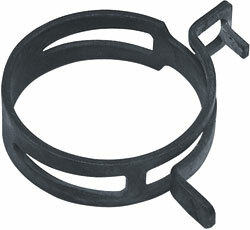 Correct replacement clamp designed for use with most common radiators. 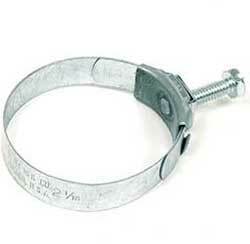 Each clamp is designed to hold the radiator hose in place, Measured diameter 2 1/8" I.D. Use as required. 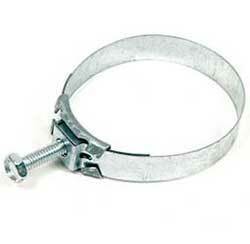 Correct AC Delco replacement worm gear style radiator hose clamp. 2-7/8" max. i.d.